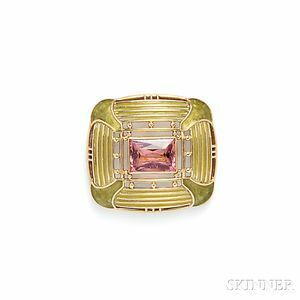 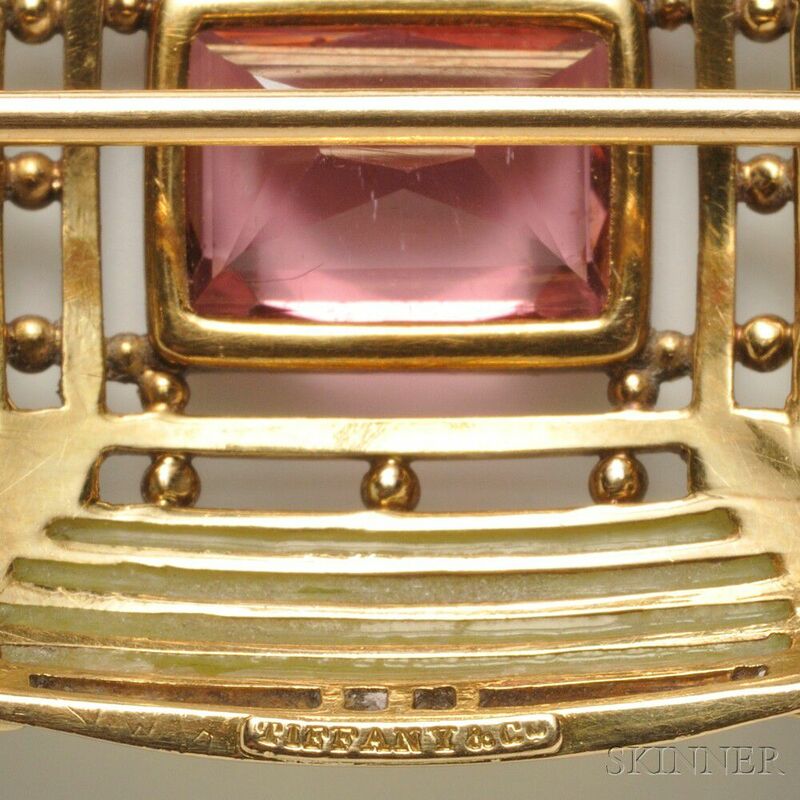 Arts & Crafts 18kt Gold, Plique-a-Jour Enamel, and Pink Tourmaline Brooch, Tiffany & Co., c. 1916, bezel-set with a fancy-cut pink tourmaline, framed by beads, en plein enamel abstract lotus motifs, and panes of plique-a-jour enamel, lg. 1 1/4 in., signed. Note: For similar brooches with stylized and geometric motif frames from this period, see Louis Comfort Tiffany at Tiffany & Co., p. 71.